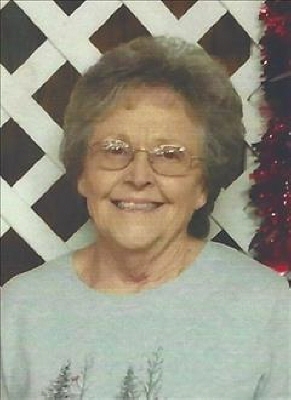 Joyce York passed away Sunday, March 31st, 2019at Holdenville General Hospital at the age of 80. Joyce was born November 17, 1938 in Gerty, Oklahoma. She graduated from Moss public schools. Joyce liked to fish, enjoyed the lake house and was a gardener. She worked at Komar Seam Pruf, loved kids, was a nutrition volunteer at the senior citizens, a bowler and helped raise Judy, Janet and Pam. Joyce was survived by Wanda York, Judy Clenney, Pam York, Floyd & Shirley Lumpkin, Linda Messinger, Bill & Francis Lumpkin and several other cousins and family members. Funeral services will be 1:30 PM Thursday, April 4, 2019 at the Assembly of God in Holdenville, Oklahoma with Rev. Allen Lewis officiating. To send flowers or a remembrance gift to the family of Joyce Leveta York, please visit our Tribute Store. "Email Address" would like to share the life celebration of Joyce Leveta York. Click on the "link" to go to share a favorite memory or leave a condolence message for the family.